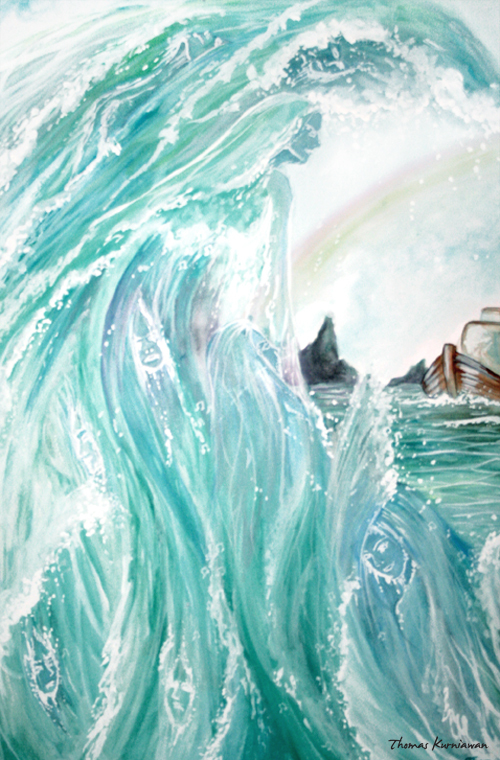 These Illustrations were made for Mythology Illustration project in Illustration Class 2009. 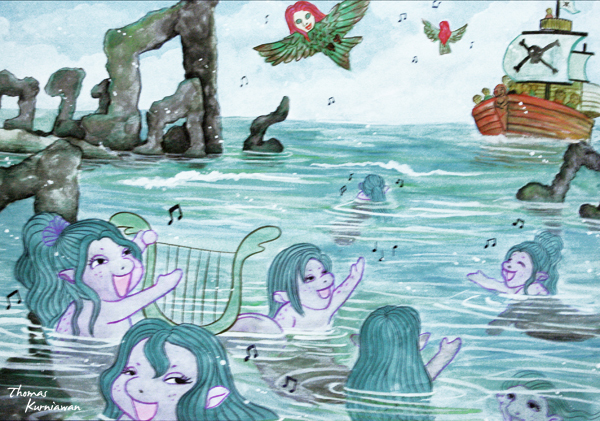 In Greek mythology, Sirens were part human, part bird. 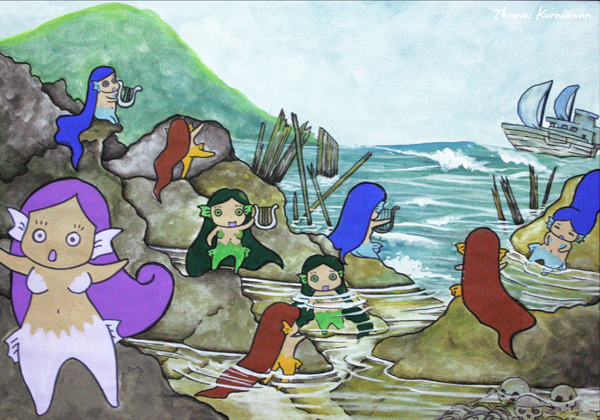 The Sirens lived on a rocky island in the middle of the sea, possibly near Italy. They sang melodies so beautiful that sailors passing by couldn't resist getting closer to them. Following the sound of music, the sailors would steer their boats towards them or jump in the water to get closer. Either way, it always ended in disaster on the rocks. For this project, I made 3 illustrations with different look.